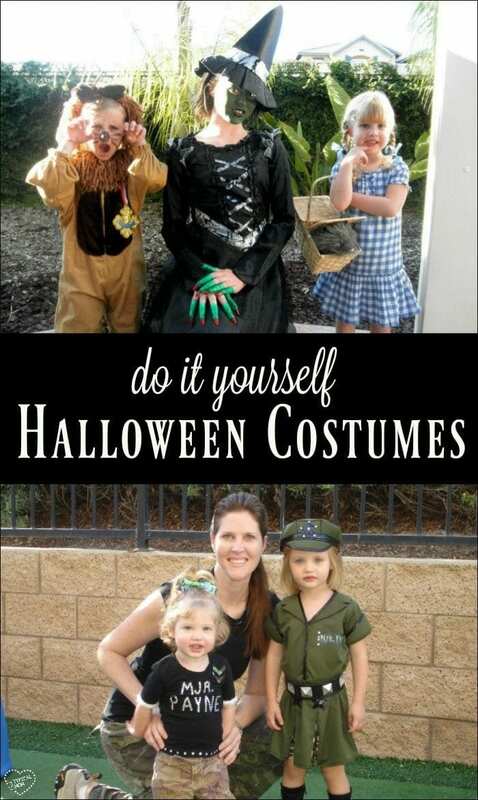 Here are some DIY Halloween costumes and ideas on how to find costumes for next to nothing. You CAN have fun and dress cute on a budget! Shop Thrift Stores at the beginning to middle of October or earlier – Here are many tips on finding name brand clothing at next to nothing at Thrift Shops I posted this month. Many times you can find fantastic costumes for $10 or less here & there’s a much broader selection than in retail stores because they were bought from all around. There are costumes for adults, kids and even pets! If you are really on a tight budget, take an inventory of what they might have, & if there are a few options but they are still out of range, wait and come back the week before Halloween, they are sure to be marked 50% or more off that! Create a “Halloween Shopping Day” & swap with friends –You surely have many friends who have children around your kids’ same ages/sizes. Everyone seems to have a few “old” Halloween costumes that are now shoved into the dress up bin, or stored away in a closet and forgotten about. Get a few friends together for an afternoon & create a fun “shopping day” out of it. It will be “new” to them, and the old owner probably won’t miss it since it was probably forgotten about the day after Halloween last year! Use items you have at home – One year I decided to get crafty and design an original costume from home for my then 2 year old (seen above). I took one of her black shirts & found these camo jeans at a local resale shop for $3. I headed to Michael’s (craft store) & spent less than $5 on camo ribbon (affiliate link) I used for a hair bow, cut pieces of ribbon for the emblems on her shirt, puffy painted around the emblems, and used white puffy paint to “glue” the gems on her shirt to spell out MJR. PAYNE ( she was quite difficult at that age so it fit perfectly ). In total I spent $8, got TONS of compliments since nobody else had one like it, and had a pair of cute camo pants she could wear for the next few months too! Shop your local kid’s resale shops –If you’ve never been to a kid’s resale shop, you should! There may be one right around the corner & you may not even know it. Yes it is somewhat like a thrift shop, but they only typically carry higher end brands without any damage to them but at less than 50% of what you’d pay in a retail store. Google kid’s resale + the city you live in to find one near you. Ask when they will be putting the Halloween costumes out & try to get there that day right when they open to get the best selection! 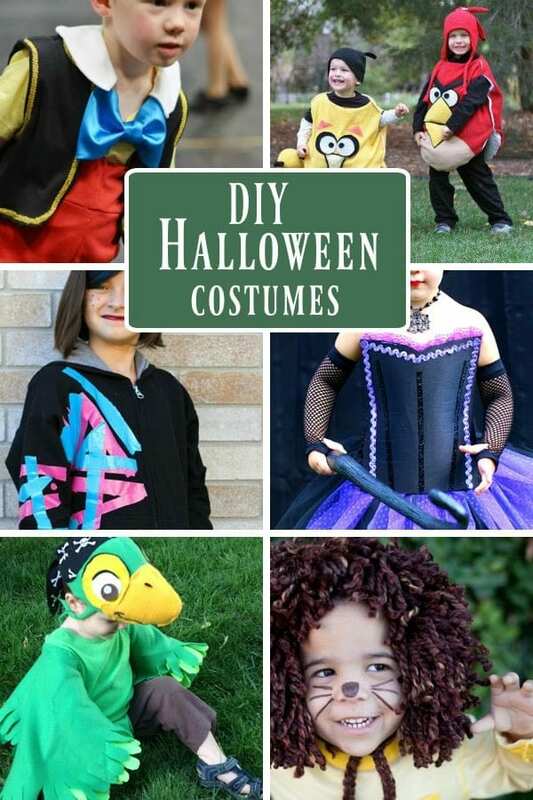 Here are a list of other cute DIY Halloween costumes from other bloggers we love too!! The Easiest (WyldStyle) Wildstyle Lego Movie Costume Ever!